Find out where Oktoberfest originated — the birth of the beer. You may just be surprised. Well, you can depend on our sharing some great food at the table to finish the week in fine fashion. Here’s what we’ve got cooking for you at week’s end: Grits and grillades and broiled catfish tacos with fresh salsas. 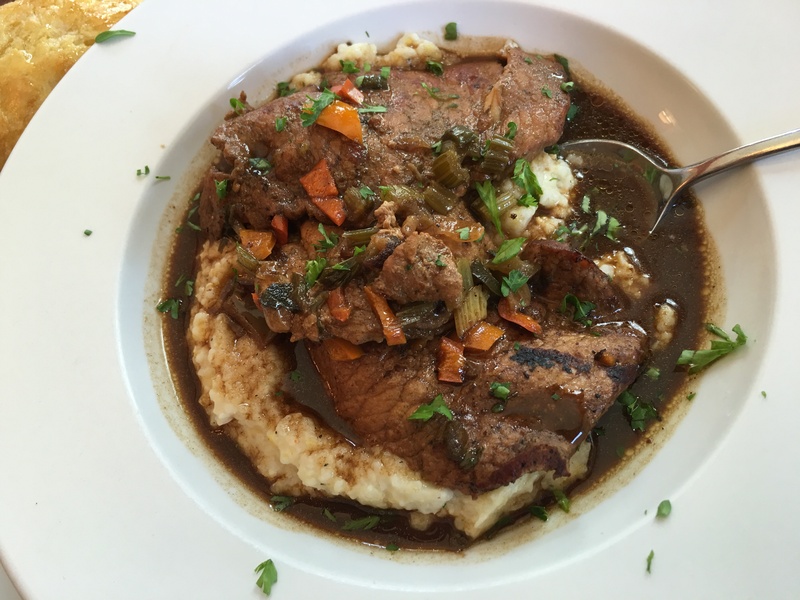 If you can’t make it for lunch on Thursday, just give us a call at 267-4457, we’ll set aside some supper for you including grits, grillades, house salad, and fresh bread. Broiled catfish tacos, fresh salsas, and lime cilantro slaw. Take some specially seasoned and broiled catfish, add them to a lightly fried corn tortilla with some lime cilantro slaw, fresh salsas, and charro beans, and you’ve got a rocket launcher for the weekend. Our old movie friend Roger Ebert once noted, “There is a part of me that will forever want to be walking under autumn leaves, carrying a briefcase containing the works of Shakespeare and Yeats and a portable chess set. I will pass an old tree under which once on a summer night I lay on the grass with a fragrant young woman and we quoted e.e. cummings back and forth.” Who knew Roger had game at romance? Well, bring your briefcases full of Shakespeare, Yeats, or cummings, and we’ll pass some catfish tacos back and forth underneath an old tree among the autumn leaves. Yep. It’s Friday. Game on.